We are a well-known professional cleaning agency, servicing London and the surrounding places which does various kinds of sanitizing procedures for the home, as well as for the office, the rental property, the villa and many more. 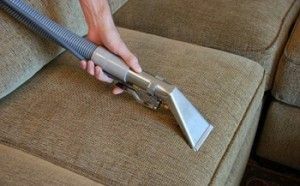 Some of those procedures are deep cleaning, cleaning for the end of the tenancy or before moving in, domestic sanitation, carpet and upholstery cleaning. The last mentioned one is among our best and most wanted procedures nowadays which could be yours too, if you decide to collaborate with us. There are several things you need to know about our company which will most certainly convince you that Cleaner Kilburn are the perfect agency for you and your real estate property. First of all, we work extremely hard. Proof of that is our jam-packed weekly working schedule which is consist of all weekdays, including the weekend and the rest holiday days. Second of all, we employ simply the best and most qualified cleaning experts in the area with many good recommendations and the necessary experience for excellent work results. And the most important thing you have to know about us is that our service prices are the most affordable for the cleaning industry of London. Selecting our professional company to work on your home has many beneficial outcomes and no down sides. We have been in the business long enough to understand the necessities of the people who come to look for our help. We will be able to assist you too, if you just give us a chance. The doors of our headquarters are always open, so come and visit us when you make the decision. Call us now.